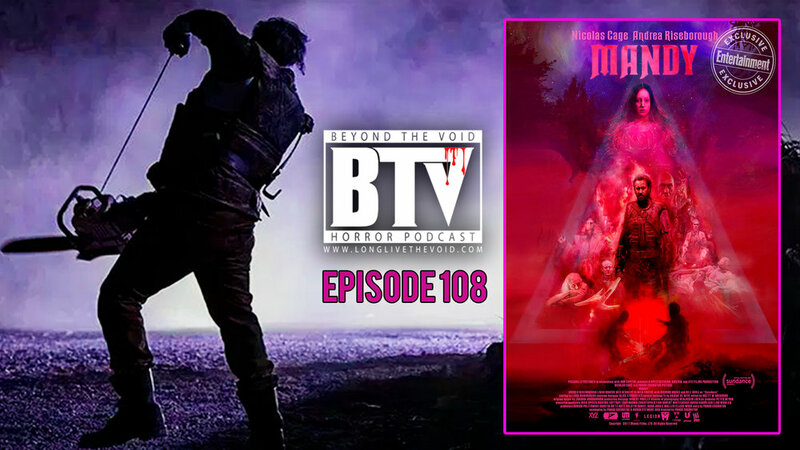 This week the Director of Beyond The Black Rainbows NEWEST entry “Mandy” got our attention. We are talking about none other than Panos Cosmatos and his wild mind melt movie with Nicholas Cage. Another great freakout movie to the pile of Cage movies made. If you haven't seen this don't worry we break it down spoiler free. Then let you know when we get to our Trivia and spoilers discussion. It was a Trip to hell man and we gladly took the ride with a fistful guts and a mouthful of silvery gooey goodness. So grab a jar of silver, wield a giant hand craft demon sticker and be sure to have a cage freak-out moment before we travel down Beyond The Void!